Paul Collingwood is yet to make a final call over his participation in the much hyped twenty 20 series that is going to be held on the Pakistani land. Earlier it was reported that Collingwood had agreed to be a part of the Rest of the World squad that would take on Pakistan in the proposed series. But, the former English all-rounder has clarified his position. 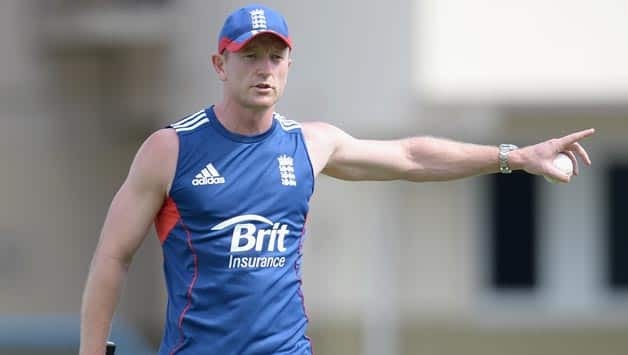 While he has admitted that he has had a chat with Andy Flower who would be managing the Rest of the World squad, he stresses that he has not committed to Flower that he would definitely be there playing in that series. As per Collingwood, it’s an exciting proposition, no doubt because he is not an active international Cricketer anymore. He bid adieu to the international game long back. But this is a chance to get involved in international Cricket again as all the games of this series are going to be counted as international games. Also Pakistani people would be filling the stadium in every game and the atmosphere is guaranteed to be electric and you always want to experience that kind of atmosphere again as a player. So there are enough reasons for him to be excited about the series. But then the major issue here is the security and whatever assurances there have been from the Pakistan board or the Pakistan government, he will first have to wait for the report of the delegation that will be visiting Pakistan soon to check out the arrangements that they have made to ensure the security of the players. Apart from that, he will also be talking to some of the other security experts he has got a lot of faith in and then based on what everyone has to say, he will make a call, but, right now, he is unsure. This entry was posted on Saturday, September 2nd, 2017 at 7:59 am	and is filed under Ashes Videos, England. You can follow any responses to this entry through the RSS 2.0 feed. Both comments and pings are currently closed.